According to a report from folks at droidshout Xiaomi could soon launch its new Mi Power Bank 3 Series. The new Mi Power Bank 3 Series will offer two variants of the power bank, including a 10,000mAh and 20,000mAh capacities. The folks also manage to gain some of the technical specifications about the upcoming Mi power bank 3, which includes the expected specifications, capacities, prices, availability of the upcoming Xiaomi Mi Power Bank 3. 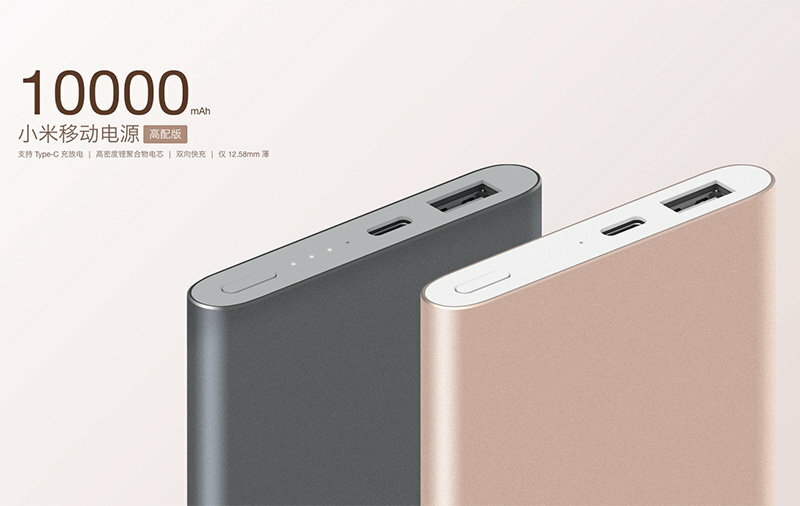 The site also shared the poster showing the upcoming Mi power bank 3, which appears to come in two different color options, including Silver White and Black color. However, users are expected to receive 10 to 20 percent less power than the advertise capacities of the power bank. In actual, users could expect the actual capacity of about 7,500 to 8,500mAh from the Mi power bank 3 with 10,000mAh of power. While the 20,000mAh model is expected to have an actual capacity of 16,000mAh to 18,000mAh. Furthermore, the Mi power bank 3 will also feature Fast Charge over a USB Type-C port with Qualcomm’s Quick Charge technology. So, if your device supports fast charging the power bank will quickly fuel your device. Xaomi is yet to announce its new Mi power bank 3. However, what we expect about its release date and its pricing, Xiaomi could launch the device soon, though, there is no exact date to that as of now. For pricing, Xiaomi has a great record of pricing its devices including its Mi Power Banks quite attractively, so Mi power bank 3 should not be an exception. But with its added specs and features, one could expect the price a title higher than the price of Mi Power Bank 2, which is currently selling at Rs. 800 for 10,000mAh model and the Rs. 1,400 for the 20,000mAh model.